I started this review not quite sure what to expect. My younger daughter likes dinosaurs; she has a pocket-sized dino reference book, and she has the names and details of her favorites memorized. 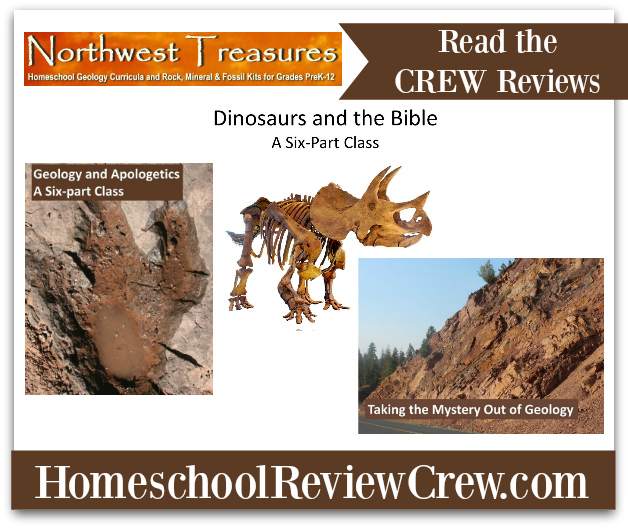 We watched the trailer for Northwest Treasures' Dinosaurs and the Bible course, and decided that it would make an interesting and enlightening endeavor. This is a six-part video class with downloadable worksheets. Most of the video lessons run less than 20 minutes (only Lesson 6 runs for 21 minutes). The total course runs for an hour and 49 minutes. Each lesson comes with a downloadable worksheet that you can print out, plus a short, multiple choice comprehensive exam after Lesson 6 (answer keys included!). The videos are presented on Vimeo (you will need your own account). You can click on the lesson name link to access a window that gives a brief rundown of the lesson, plus Dropbox links to the worksheet for the lesson and the answer key (the answer key is the same file for all the lessons, so if you've downloaded it once, no need to download it again each time). 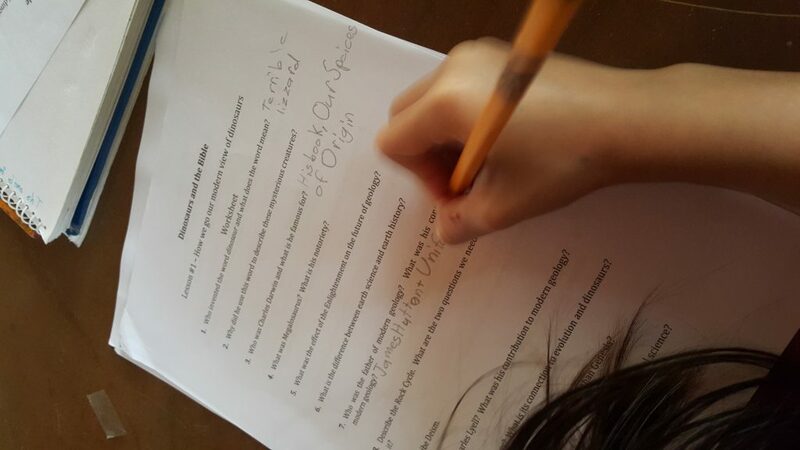 They recommend that you finish the each lesson's worksheet before moving on to the next lesson. 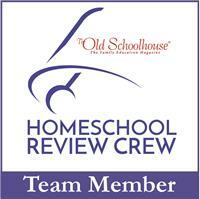 The course is recommended for Grades 5 and up, but I think it would be better for much older kids. Even I had a hard time wrapping my head around all the material presented! This, for me, is a pretty heavy course. It presents ideas, terms, and concepts that I need to process slowly. 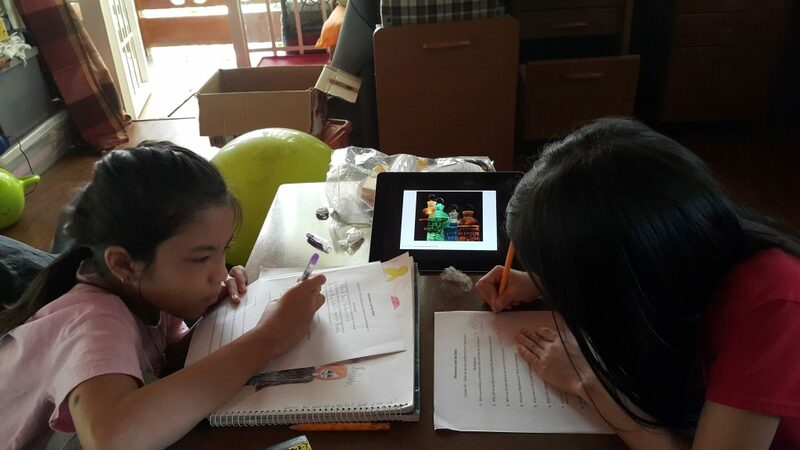 My girls (incoming grades 3 and 6) were supposed to work on the videos with me, but I let them skip it because it was going over their heads, and I need to digest it first before I can even discuss with them. That said, Dinosaurs and the Bible is worth the brain exertion. The Hubby and I have been discussing, on and off, our faith, why we choose to homeschool and how we should be doing it, and how we can give our girls a strong foundation spiritually and academically, and how they can be responsible, self-sufficient citizens when they grow up. One topic that we keep going back to is how to marry science, the Bible, and our faith. 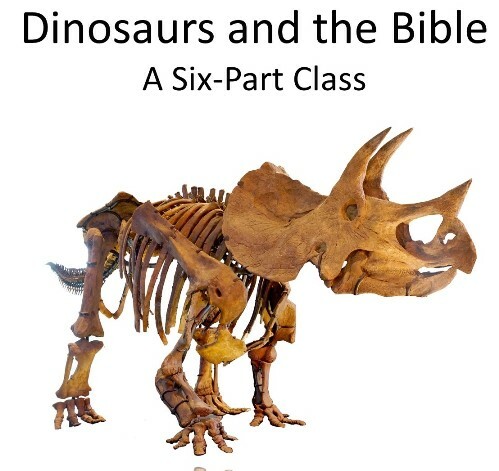 Dinosaurs and the Bible has opened topics that we can further discuss and process together, and eventually with the kids. A couple of the topics covered, for example, are evolution and the young earth creationism. Ever since we were kids, the theory of evolution has been the 'fact' that we have learned, the explanation to how we came from nothingness to human beings. And of course the earth is billions of years old! So the idea that the earth is only about 6,000 years old takes a lot rethinking. The Hubby and I were discussing that Science does evolve as we discover new evidence or as theories are proved or debunked, but it takes time to reprogram your thinking. I appreciate the thoroughness that goes into each video lesson. The first two laid the foundation--explanations of how the currently popular theories came about, misconceptions, and evidence to prove them otherwise. I also appreciated the differentiation of science and history, and the emphasis on the scientific method, and how this actually debunks a lot of the accepted theories. The next videos then get into the more exciting actual dinosaur lessons (particularly Lesson 3--who knew that such enmity existed in the fossil world?). I also appreciate how logically the Biblical view is worked in and explained. Patrick "Rock-man Pat" Nurre (who created the courses) does a great job building the Biblical framework of the entire course. I do wish there were also a transcript of the videos that we could download. Sometimes there is a word or a concept that I would like to restudy, and I have to fast forward and rewind the videos until I find the particular segment that I am looking for. Also, I learn best by reading, which makes it much harder for me to digest this course. Northwest Treasures is known for its fossil and rock kits, field trips. It also has courses like the high school level Northwest Treasures Curriculum Project, or the PreK-3rd grade Geology for "Little Eyes" as well as a couple of other video courses: Geology and Apologetics and a short 20-minute video, Taking the Mystery Out of Geology. 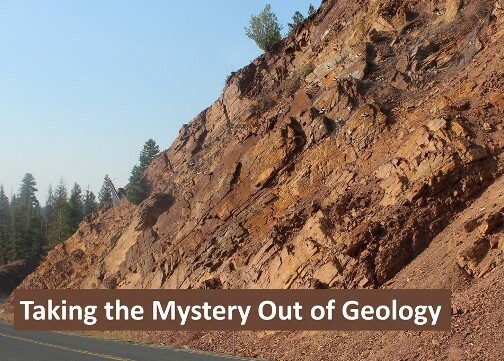 I was also able to watch Taking the Mystery Out of Geology, and though short it was overwhelming with information. Most of the video defines 13 terms (Science, History, Philosophy, Uniformitarianism, Evolution, Creationism, Bible, Geology, Rock Cycle, Rock Types, Tectonics and Orogeny, Geological Time Scale, and Fossilization) which helps build the framework for studying geology (and dinosaurs) from a Biblical perspective. Other families have also reviewed the courses from Northwest Treasures. Click below to read about their experiences.